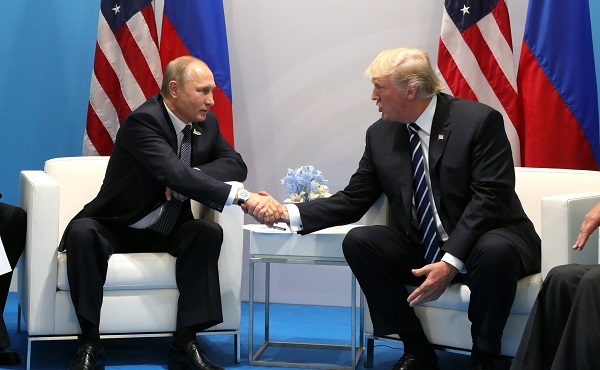 There is a surprising connection between Alexandria Ocasio-Cortez’ upset primary victory last Tuesday and the announcement of a Trump-Putin summit to be held in Helsinki on July 16th. The connection is that Trump’s understanding of politics is based on dealing with political bosses in New York City from the 1960’s onward. What Trump learned from his father who started the family real estate business in Queens, New York was the necessity of working out a good relationship with the boss who ran the local political machine. If you provided the boss with what he needed most—campaign contributions and extra cash to support his top lieutenants—then he was likely to speed up approval of your next project or make sure that the relevant city departments ignored tenant complaints or shut down some overly fastidious building inspectors who were giving your contractors a hard time about substandard materials. The great thing about such relationships is that they can last a good long time. A boss could stay in power for twenty or thirty years which is time for a lot of different real estate transactions to move forward. But that is precisely the calculation that Ocasio-Cortez upset. The man she defeated, Joseph Crowley, had been the leader of the Queens Democratic Party apparatus since 2006. And this is precisely why Donald Trump has real doubts about democracy. When a friendly boss gets displaced by an electoral challenger, it can undermine years of careful relationship building. This helps explain Trump’s obvious preference for people like Vladimir Putin and Kim Jong-Un as compared to Justin Trudeau or Angela Merkel. Putin doesn’t have to have kompromat on Trump; it is simply that because he is a dictator, he is a far more reliable partner for deal making than democratically elected leaders who need to write everything down and have the details approved by parliamentary committees and various teams of bureaucrats. And worse yet, even after making a deal with a democratic head of state, such leaders can lose at the next election making the whole transaction a giant waste of time. The other great advantage that Putin shares with Kim, Xi Jinping, the leaders of Saudi Arabia and the Arab states of the Persian Gulf, as well as the strong men in various former Soviet republics is that they have almost complete control over the resources in their societies. So they are completely free to negotiate lucrative deals over real estate and natural resources that would benefit Trump and his family business. Trump constantly talks about international relations as a process of making good deals or bad deals. We need to take him at his word, but realize that he is not talking about deals in the interest of the U.S. but deals in the interest of Trump. He is the same real estate developer that he has always been; it is just that now he is doing his deals globally using the unique advantage of his accidental election as President. This makes it easier to understand his foreign policy. The reason he is deliberately disrupting U.S. relations with its traditional allies is not because of some Bannonite vision of a global alliance of right-wing nationalists. The issue is rather that traditional U.S. allies have nothing to offer him. Even when he was getting along well with Emmanuel Macron, there was zero chance that Macron would push through plans for a Trump Tower in a prime location on the Champs Élysées. With Putin or Crown Prince bin Salman in Saudi Arabia, there is the possibility of real estate deals and natural resource deals that would continue to payoff for Ivanka’s childrens’ children. It follows that all of Trump’s rhetoric about forcing Mexico or Canada or the Europeans to stop ripping off the U.S. is the same as his anti-immigrant tirades. The words are just meant to provide convenient targets for the rage of his supporters. There is no plan for negotiating a different economic bargain with these countries. It is just a sideshow to divert attention from the real action which is the same as it has always been—cutting transactional deals with the big bosses in the neighborhood. But it is no longer local Democratic Party leaders; now it is the world’s most powerful autocrats.